Three all-metal ultra-high vacuum valves were received in May for testing. Through a bulk purchase agreement signed with VAT, valves meeting ITER Organization requirements are now part of the company catalogue. 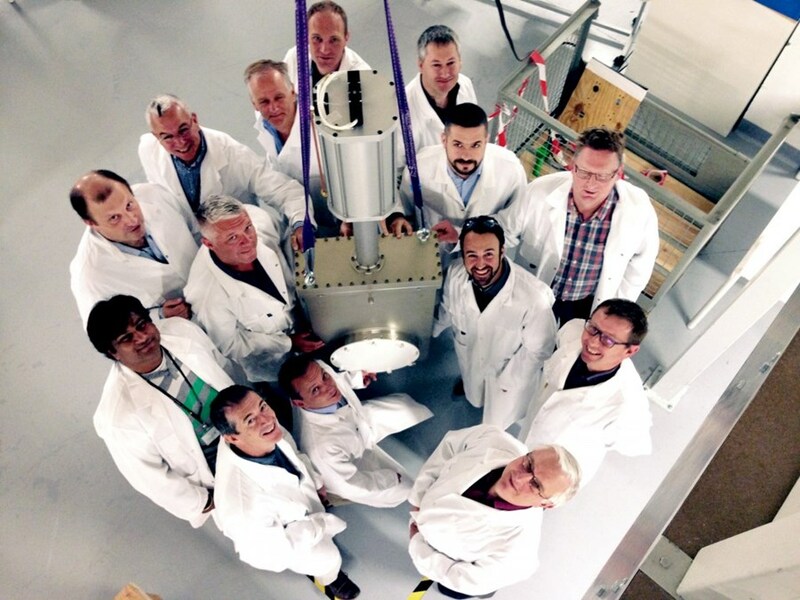 In taking delivery this month of the first batch of all-metal ultra-high vacuum valves, the ITER vacuum team celebrated a number of "firsts." Not only were the valves received in the basement laboratory of ITER Headquarters on 17 May the first developed with industry to meet ITER's demanding vacuum requirements, but they were also the pioneer samples of a standardization program that will make a catalogue of ITER-approved all-metal valves available to the Domestic Agencies at preferential prices. In ITER, approximately 250 all-metal high-vacuum valves will be employed on the machine. By standardizing these critical components the ITER Organization is ensuring a simplified design, a smaller number of interfaces, and increased reliability—all at reduced cost. Standardized components are easier and less expensive to procure, due to the "bulk" nature of purchases. In 2014, the ITER Organization signed a EUR 25 million Strategic Agreement with the vacuum valve company VAT. After just over one year of development, valves meeting ITER Organization requirements have been commercialized and are now part of the VAT catalogue. The valves will be available for order by the ITER Organization and Domestic Agencies at preferential rates. Similar standardizations are planned for other vacuum system components such as gauges and elastomer high-vacuum valves. In the months ahead, the valves received on site will be tested to ensure that they meet ITER technical specifications and to explore the operational envelope(s) of the valve(s). "The valves will undergo a complex stress analysis as well as mechanical testing to fully validate them for their many applications on ITER," says Liam Worth, a member of ITER's Vacuum Section. According to Graeme Vine, responsible officer for the valve testing program, testing will also include shaking that mimics seismic events and helium leak testing on the valves to verify leak-tightness. Representative samples of each valve type will be sent to ITER by VAT for testing. "The results of the analysis and testing will provide us with the data necessary to fully design the support structures required for the valves on the machine," emphasizes Robert Pearce, Vacuum Section Leader. 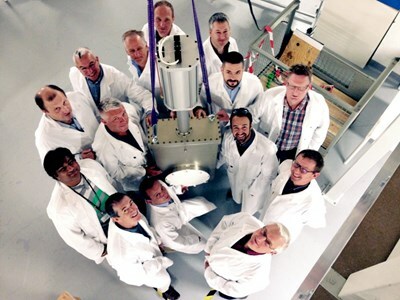 "In this way we can ensure the integrity and safety of the valves operation over the life of ITER."